Come visit our showroom to see some of the options available. Do you want to make your old pavers look new again? Is the sand washing out of the joints? We are certified applicators and are happy to recommend specific options to meet your needs. 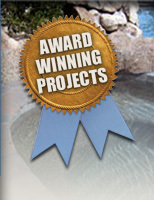 Sealing your pavers will protect and add to the investment that you made in your pavers. 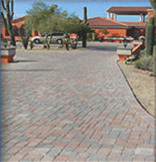 We are available to repair existing paver projects. Sunken pavers, broken border pavers or whatever the issue is, call us and we can turn your problems around.